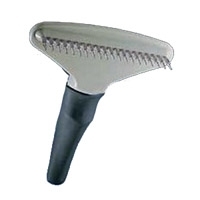 A combination of a pin brush on one side to tease out snarls and tangles and a bristle brush on the other side to finish and bring out the shine in the coat. 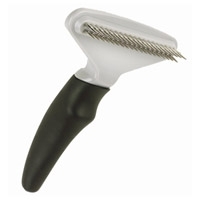 The non-slip, ergonomically correct handle makes grooming a more pleasurable experience for both of you. 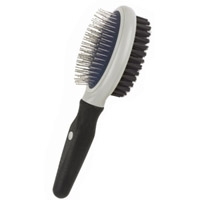 The Grip Soft Pin Brush is the perfect everyday brush for medium to long coated breeds. 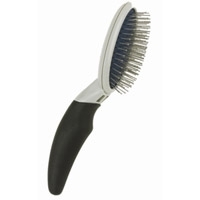 The Pin Brush has an oval head with long round tipped bristles. 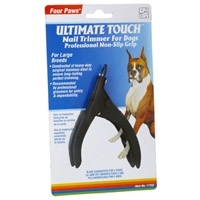 The rounded ends are more gentle on your dogs skin and gently untangle and smooth fur. 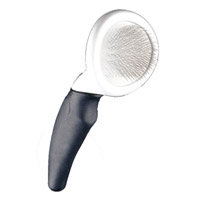 The JW non slip ergonomically designed handle is also more comfortable on the hand making grooming a more pleasurable experience for you. 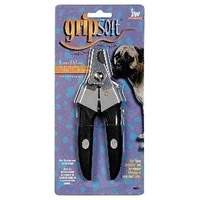 The Grip Soft Small Slicker Brush with Soft Pins is perfect for almost all coat types. 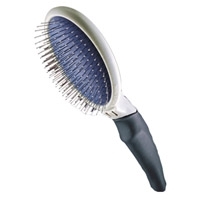 This universal brush is designed for smaller to mid size breeds with sensitive skin. 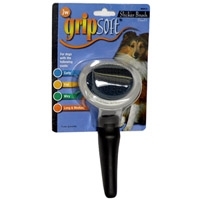 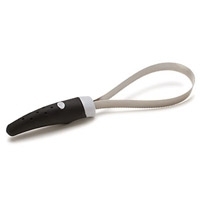 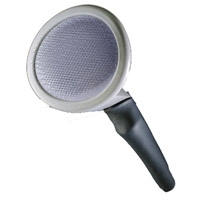 The Grip Soft Small Slicker Brush is perfect for almost all coat types. 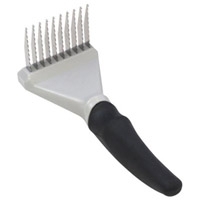 This universal brush is for smaller to mid size breeds and has angled pins to remove dead and shedding fur. 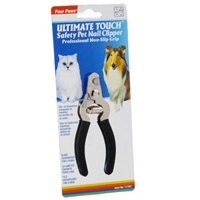 For regular grooming between baths use this slicker daily for long coated breeds and every few days for breeds with short coats. 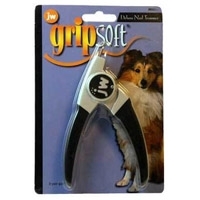 The JW non slip ergonomically correct handle is designed to be more comfortable on the hand making grooming a more pleasurable experience for you. 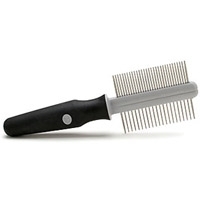 Ideal for daily brushing to remove dead and shedding hair. 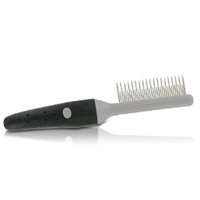 This brush has a rounded head and slightly angled pins, great for double coated breeds. 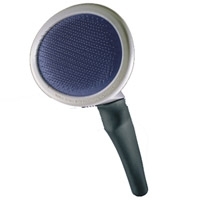 The non-slip, ergonomically correct handle makes grooming a more pleasurable experience for both of you. 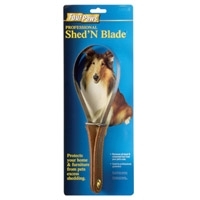 The Shed 'N Blade will protect the home and furniture from pets excess shedding. 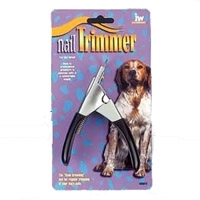 A tool used by groomers and handlers to eliminate unwanted hair and allow for a healthy and vigorating coat. 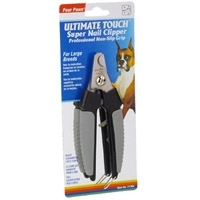 Four Paws Ultimate Touch Safety Pet Nail Clipper can be used on dogs, cats, birds and other household pets. 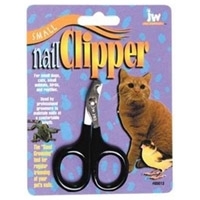 It has a safety bar to prevent over cutting. 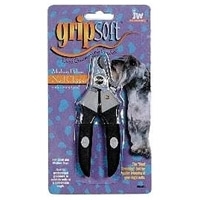 Constructed of heavy-duty surgical stainless steel to ensure long-lasting perfect trimming. 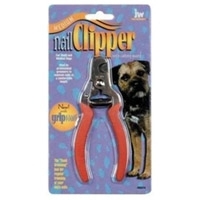 Recommended by professional groomers for safety and dependability.